Add artwork and/or add text to this product. 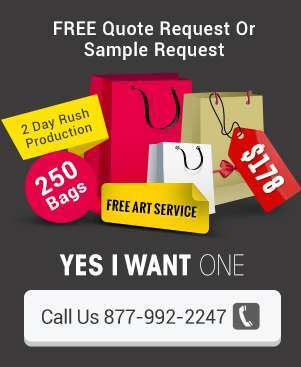 Our art team will make a free virtual proof for your approval before printing.Some standard run paper bags require proof and draw-down sample.What is the difference between a proof, a draw-down sample? Proof – This is a full scale copy of the artwork printed on professional proofing paper or film, which may or may not be color accurate. It is used primarily for copy and placement approval. Draw-downs- Color samples of spot (Pantone) colors or special match colors that are used to demonstrate how colors will appear on different substrates, including various papers. Your source for Logo And Artwork and Custom-kits.